There is a lot that goes into a snoring mouthpiece. Research, development, construction, manufacturing, and testing are just a few of the processes a mouthpiece goes through before it makes it to market. One opinion says the more it costs to manufacture, the more it will cost the consumer. Another one says cost goes hand in hand with quality. The higher the cost of a mouthpiece, the higher quality of said mouthpiece. Don't be fooled by this. Higher price doesn't always mean higher quality. A high price tag shouldn't be the single deciding factor when choosing a mouthpiece. The internet is saturated with anti-snoring mouthpieces that you can buy without a prescription. Every mouthpiece claims to be 'the one' guaranteed to solve this issue for you. You're tasked with sifting through this information to find the one right for you. Time is a precious commodity. If you have patience, then this route might be best. It takes time to sift through the information on the internet. But that's not all. Once you're satisfied with your research, you're taking the risk that the mouthpiece you buy might not work for you as intended. If the one you buy solves your problem and you're satisfied with it, then so be it. Chances of that happening on the first try are pretty good, providing you understand the “types” of mouthpieces. Some people end up returning the mouthpiece and buying another, but this fortunately is a pretty inexpensive process because of the fact that most serious mouthpieces do come with a 30 day guarantee. Expect a price tag anywhere from $45 – 200 for each mouthpiece you try. On the bright side, when you do find a mouthpiece that works for you, your experience will be invaluable. You'll know what works for you and what doesn't. Heck, we’d love to hear from you! Leave us a comment, would you? I think we can agree; a one-size-fits-all solution is not always the best solution. And yes, custom fitted solutions can have a higher success rate than the OTC variety. The professional route, however, is often out of reach for most people because the price tag can sometimes stretch into the thousands. This way requires an initial examination ($300 – 500), the cost of the device ($1200 – 2000), and follow up appointments (typically $100 each). Expect to be returning often until all adjustments are made. Afterwards, you're looking at the ongoing cost of an annual or biannual checkup. This is not a route that we particularly recommend, by the way. Medical professionals often criticize the OTC mouthpiece industry for several reasons. If I were a medical professional, I wouldn't advocate it either. My reasoning is to be expected; I would lose the business of those who chose the OTC route. Dr. Demko, an expert in sleep apnea, had this to say about over-the-counter devices in May 2012. From this excerpt, it’s easy to see two compelling arguments in favor of going the professional route. One, a dentist is watching the patient for side effects. This is a luxury not afforded everyone. Insurance, however, might offset these costs. Two, if you aren't a good candidate for a particular device, your dentist will say so. Is this to say overnight oral devices are harmful? It's unlikely, but according to Dr. Demko, it might be a possibility. While it's not an absolute, the price tag of a mouthpiece can say something of its quality. For example, if it has special features, then I can expect to pay more for those features. Simple, one-piece designs follow the mantra of one-size-fits-all (although for mandibular advancement devices, the “boil and bite” fitting process has been hugely beneficial for many); often these solve the first issue but bring up another one. The ability to make adjustments is another feature seen in the higher priced models. Breathing holes, for example, might help sway your decision. There is a conjuncture in this; you're much more likely to be satisfied when three criteria are met. These are price, value, and finding what works for you. Earlier I said that construction and materials can drive price up. Perceived value can make a price worth it. There are two types of mouthpieces, and as such, each one is made differently. This is the oldest of oral anti-snoring devices. 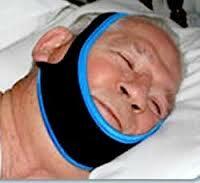 As the title indicates, these devices hold the jaw in a different position to tame the snoring problem. When these were first introduced, they were expensive and gained little popularity. The first ones looked like dental retainers, and each one had to be custom fitted by your dentist. The expenses were out of pocket because insurance didn't cover these (at the time) and often included materials, examination, fittings, plus the hourly labor price that your dentist charged. This next part packed a double whammy. You had to start the whole process over if your device didn't work. People weren't exactly jumping in line to get one of these. That all has changed, of course. The “boil and bite” fitting process has revolutionized the overall comfort level of this type of mouthpiece, allowing several high quality vendors to rise to the top. 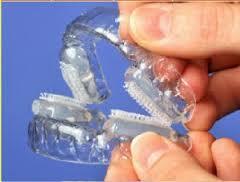 Jaw retainers work if your jaw is involved in the root cause of your snoring. This isn't always the case. Jaw retainers worked well on a small percentage of snorers. For others, a tongue retainer is a better solution. Eventually, medical and dental professionals realized that the jaw wasn't always the primary reason people would snore. Instead, they turned their attention to the largest thing in your mouth: the tongue. Tongue retainers work differently than jaw retainers, with none of the side effects. Extraordinary results have been reported in favor of tongue retainers (as high as 90% success rate) These work by attaching to the tip of the tongue using natural suction. Your breathing is improved by gently pulling the tongue forward, thus opening up the airways. These rarely use wires and don't often have breathing holes (because usually the tongue is held forward). One of the worst reported side effects tends to be a small tender spot on the tip of your tongue that usually goes away within a week. The engineering of such designs use very little materials, and thanks to the internet, are often well within people's budget. Price says a lot about a particular device. When you see more bells and whistles, you can expect to pay more. Construction of the piece can drive manufacturing costs up. These costs, however worthy they may be, are preliminary. The heaviest deciding factor on which mouthpiece you end up with is you.